This Spanish fig treat, known as pan de higo, pushes a lot of my buttons–the good buttons, not the ones our moms or bosses push that send us into immediate bouts of self loathing. For me, pan de higo is all about rainbows and unicorns. First it smacks my nostalgia button. With one bite I’m instantly transported to a cozy tapas joint nestled in the cobbled streets of Old Madrid. Then, as it softens in my mouth, my I Love Anything Figgy button lights up. The sweetness of the rich figs drapes across my tongue, while the spices cause it to gently quiver. You’ve got a Fast and Easy button too; I know you do. You can make pan de higo in less than thirty minutes. Pop the ingredients into a food processor, give it a few twirls, add a splash of brandy, then mash it into any shape you like–voilà. If it’s tightly wrapped and stored in a cool place, it will keep for weeks. 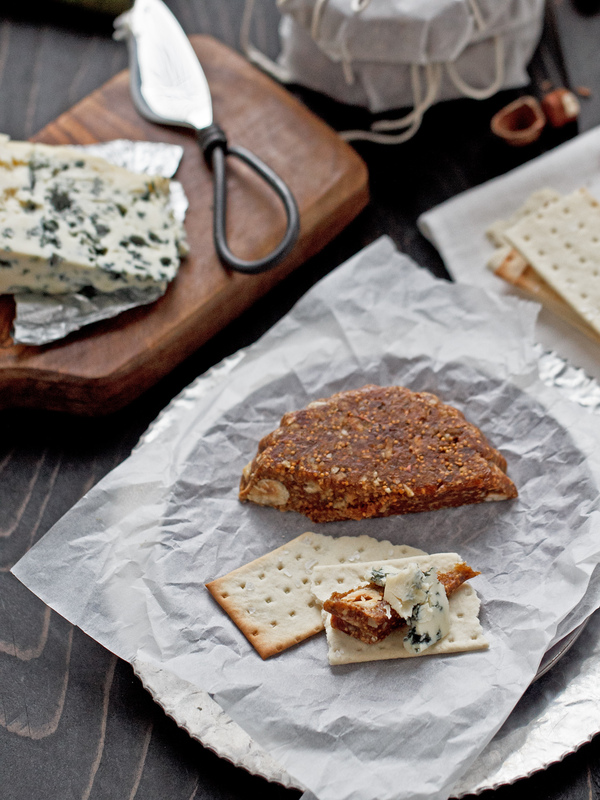 Stow it away for an unexpected guest or offer it to your favorite hostess in lieu of a bottle of your go-to wine. I don’t have to tell you what that does to my Make Ahead button. Then, get ready for your Feel Like a Kitchen Rock Star button, also known as the Domestic Goddess button to start buzzing like crazy. Any time I can peek behind the curtain in Oz and learn how to successfully replicate something that I love that’s expensive to buy and/or hard to find, I feel, well, like a rock star. Push a few buttons and make a batch. Eat one soon. Keep one for later. Share a few with your friends. Let your kitchen rock star shine, and remember, it’s less about being a kitchen rock star and more about feeling like one. Pan de higo, which in English translates to “loaf” or “bread of figs”, is a traditional Spanish way of preserving figs for the winter months. (For the curious, this blog entry illustrates how it’s made in Spain.) 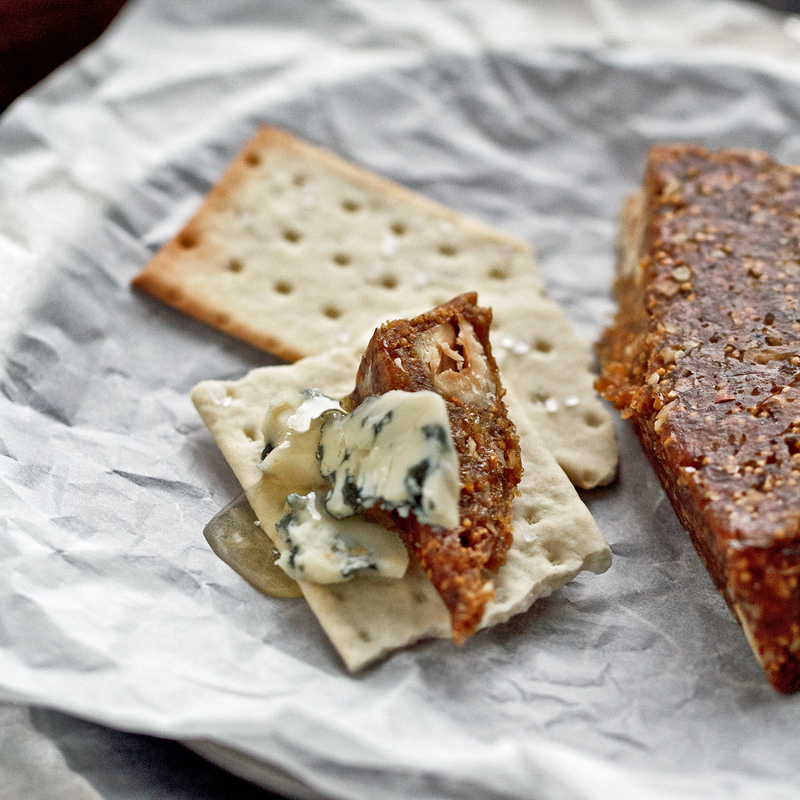 Slather a substantial cracker like a Carr’s Wheat Cracker with a creamy blue cheese or chèvre, top it with a slice of pan de higo, and if you dare, drizzle it with honey. Then pour yourself a glass of something festive and bubbly, because moments like these don’t come around often. In a food processor, chop the figs by pulsing 10 or 12 times. Add spices, honey, and 1 tablespoon of brandy. Process until a smooth paste forms, adding more brandy if necessary. Add the toasted nuts and pulse until they are are coarsely chopped. Choose your mold. You can make one large loaf or several small ones. Line your mold with parchment paper or plastic wrap. Spoon the fig mixture into the mold, pressing down hard. Secure the parchment or plastic, so the loaf won’t dry out. Place a heavy weight on top to compact the loaf–a cast-iron pot, jars of jam, a brick, a dumbbell—whatever you can find. Let the weighted loaf stand in a cool, dry place for 2-3 days before serving, so the flavors have time to meld together. Great post. I always wondered how to make this. It is soooo expensive to buy it. OMG, you just pushed my “so excited’ button. This must be kismet! I am on my way to Barcelona tomorrow with my girlfriend and our daughters. I am very excited to try Pan de Higo. We will raise our glasses of cava in a toast to you. Oh, fabulous! This is beautiful – and what a perfect thing to make at the end of winter. Love your photos, but your writing is even more delicious! I don’t even like figs, but I’m SO trying this recipe!!!! Is it possible to make this without the brandy (alcohol)? And so, what would you use?